Last edited by Den82; Jun 27, '12 at 2:41 PM. First of all, may I just say this is a great idea!!! Last edited by WRM; Jul 11, '14 at 3:59 PM. C. Complete SW Death Star/Millennium Falcon/Vader's Tie Fighter/X-Wing - Any or all, 4 way tie- Can't choose. 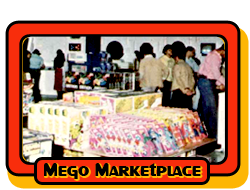 I have to qualify this by saying my ability to buy is on hold until August, but if anyone want to work something out until then..
Vintage Mego want list: No reseals/opened cards on the MOC list as I have limited space and none of these items are rare enough to warrant it. Original Star Wars 12 back store display header. Looking for the header only. Last edited by spidey68; Mar 26, '15 at 9:28 PM. In the Southeast Pacific, lies the sunken city of R'Leyh. There lies C'thulhu waits to return to our world with the other Great Old Ones. A hideous creature of enormous size and alien power, it waits for it's time to return patiently. For it has all the time in the world while it waits for the stars.